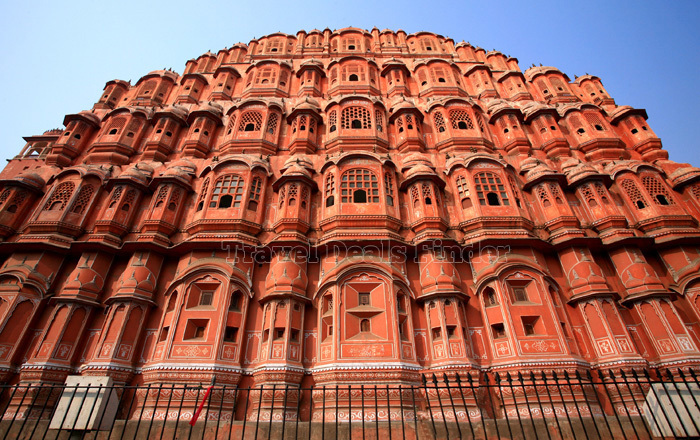 Details of Jaipur – Ranthambore -Agra Package..
On arrival,you will be taken to Jaipur. Check in to Hotel and after some refreshment proceed to cover the city attractions i.e. City Palace, Jantar Mantar and Hawa Mahal. In the evening visit local market of Pink City and then back to hotel for overnight stay. After breakfast start for Ranthambore and check in to hotel. After some refreshment proceed to visit the World Famous Lord Ganesha Temple and then visit the beautiful fort of Ranthambore. Later in the noon enjoy the Wildlife Safari and then back to hotel for overnight stay. Early morning after breakfast checkout from the Hotel and then drive back to New Delhi where you will be dropped at Railway Station or Airport for your onward Journey, Tour Ends with wonderful memories of Rajasthan. Note: Hotels are Subject to availability. In case of non availability similar Hotel or Resorts of same star category will be provided. Safari charges are not included and are extra and no guarantee is taken for safari bookings. If you have not decided yet or wants to customize tour itinerary or hotels listed above in "Jaipur–Ranthambore-Agra Holiday Package from aarchtours", then we can change the travel itinerary and make a personalized, tailor-made holiday package, especially for you. We can modify this travel package as per your itinerary, budget, duration and the tourist places you would like to visit, including transportation and airfare should be included or not. Please fill the form below to contact us.